John Lewis has paid out its lowest bonus to staff since the 1950s as profits plunged last year amid "challenging" trading. The retail partnership - which includes Waitrose supermarkets - said staff would receive a 3% bonus, the lowest since 1953 when workers got no bonus. Profits at the partnership sank last year by more than 45% to £160m. It blamed poor home sales, discounting, higher IT costs and the cost of opening two new stores last year for the drop. John Lewis' famously promises that is "never knowingly undersold", meaning it matches its High Street rivals' prices. The partnership said "near constant discounting" from rivals had hit profits, particularly in its department store shops. John Lewis' structure is unique. It is owned by its staff, known as partners. Typically in profitable years, staff at the 350 Waitrose and 51 John Lewis stores receive a share of the profits. In the very best years, these bonuses can add the equivalent of a few months' worth of pay. But the annual staff bonus has been reduced every year for the past six years due to difficult trading conditions. 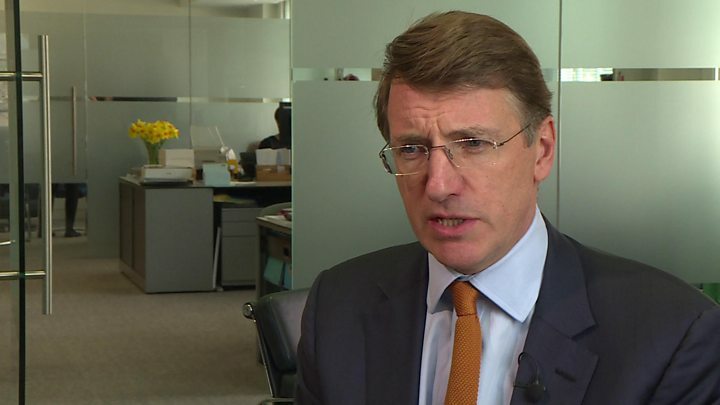 Sir Charlie Mayfield, chairman of the John Lewis Partnership, said the lower bonus would help the company to preserve cash and invest "to cope with the continuing uncertainty facing consumers and the economy". What's gone wrong at John Lewis? There are four key reasons the department store chain is struggling. It's "Never Knowingly Undersold" guarantee ties its hands on price as it matches the price of a product with competitors. There's also the general "relevance problem" of department stores, with the rise of online shopping. And there's the squeeze on incomes that is seeing consumers cut back on certain types of spending. And staying relevant costs money - John Lewis has had to invest in IT, as many other retailers have, to meet customer demand. John Lewis said "subdued demand, excess retail space and some other retailers' distress" had led to big discounts by shops since last October. Like-for-like sales, which exclude sales from new stores, fell 1.4% in its department stores last year. It said weaker home sales in particular had contributed to the drop, with "subdued" consumer confidence hitting demand for "big ticket and bespoke items". The department store model has been under pressure for several years. BHS collapsed in 2016, while House of Fraser was bought out of administration by Sports Direct owner Mike Ashley last year. Earlier this week, struggling department store chain Debenhams issued its fourth profit warning in a little over a year as its sales continued to fall. Sir Charlie - who is stepping down next year - said the current High Street problems were "an inevitable market adjustment which will require greater clarity on whether brands are competing on scale or difference." Hargreaves Lansdown analyst Laith Khalaf said the fact that John Lewis was struggling showed how bad the situation was. "If the bellwether John Lewis is creaking, you can be sure others are feeling the pain. "In the short term, things don't look like getting much better, but further out, John Lewis may ultimately pick up market share from others who fall by the wayside. A larger slice of the pie could be the reward for staying the course, but what remains to be seen is just how big a pie is left after the current shift in retail washes through the system." One brighter spot in the results was Waitrose. Like-for-like sales at the supermarket rose 1.3% last year, with profits up 18%. However, John Lewis said it had sold off five of its Waitrose stores to rival retailers, putting 440 roles at risk of redundancy. The firm said the shops were not "commercially sustainable" in the long term. On Brexit, the partnership said it was "in a good position for a managed transition". But warned an unmanaged transition risked "a strong fall in consumer confidence and the impact that has on trade".